From Delhi to Kathmandu, embrace the traditions and customs of India and Nepal on this exotic 16 Day tour. An abundant of sightseeing and adventure opportunities to be had visiting Taj Mahal. Welcome to India! At the airport terminal keep your eyes open for the Travel Talk sign, as we pick you up from the airport and take you to our Delhi hotel. Gather round in the hotel lobby at 6:30pm as we meet both the other tour members and the guide. Listen up for a fast and informal meeting with the leader including registration and a short brief about the adventures ahead and information about India. After the meeting, you can join the optional group dinner. In the morning we start the Jaipur city tour where you get to visit the Hawa Mahal or Palace of the Winds. Afterwards we drive out of town to visit Amber Fort where you’ll be able to walk or ride an elephant to the entrance of this traditional Rajasthani Fort and once inside the walls, you’ll see precious stones and mirrors embellishing the plasterwork walls. In the afternoon, we will visit the historic City Palace, a huge sprawling complex which is still home to the former royal family who live in one section. The rest has been converted into a museum which holds an impressive collection of royal weapons and the Hawa Mahal. Lastly, we visit the Jantar Mantar, an astronomical observatory which is a UNESCO World Heritage site and features the world’s largest stone sundial. Today, we depart for Agra and along the way we visit Fatehpur Sikri, a remarkably well-preserved city. This abandoned ghost city was built by the Emperor Akbar in 1569, in honour of Saint Sheikh Chisti who prophesied that Akbar would have three sons. For 14 years Fatehpur Sikri was Akbar’s capital until a lack of water forced the city to be deserted. Whilst visiting the city you’ll also be able to go and see the Jama Masjid, the Tomb of Salim Chisti and several palaces. It’s an early start today as we make our way to the Taj Mahal for sunrise. If there is one image that sums up India to the world, it is the Taj Mahal. 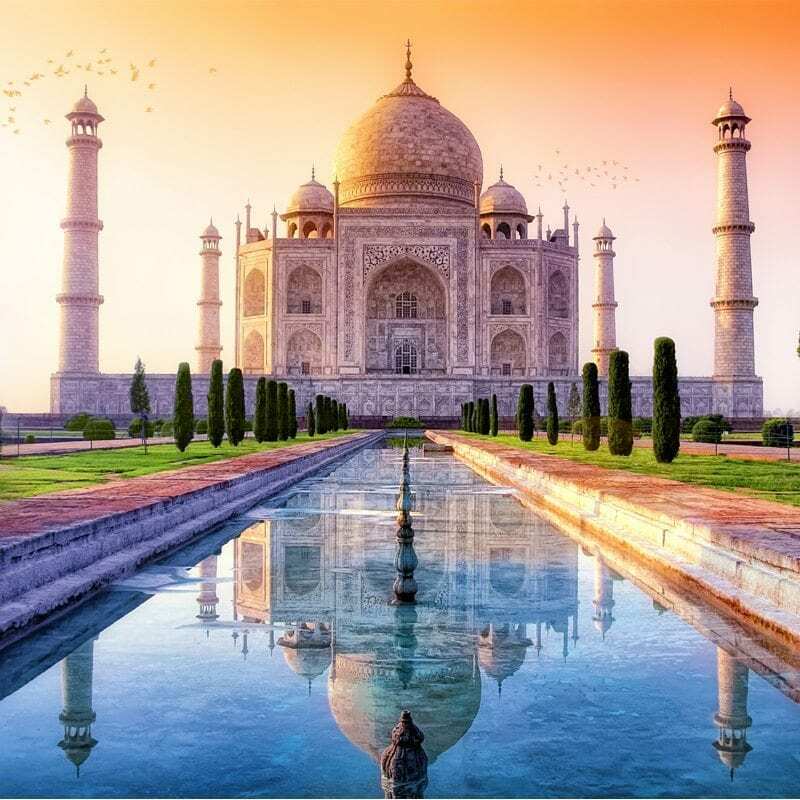 This beautiful monument in Agra is an absolute must see for all travellers. The Taj Mahal, a white marble tomb took 22 years (1631-1653) to be built by the Emperor Shah Jahan for his beloved Queen Mumtaz. Over 20,000 craftsman from Persia, Turkey, France and Italy laboured to build this masterpiece. We then return back to hotel for breakfast and later visit Baby Taj and Agra Fort. Interested in Essential India & Nepal? Ready to enquire?